How are you prepping for training? Do you know the right way to warm-up and incorporate skill work. Do you know what you should be doing to get ready for an Olympic Lift vs. a Power Lift? 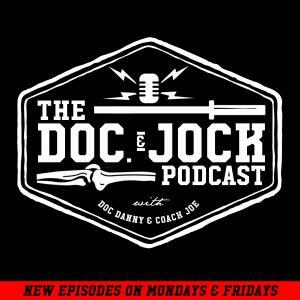 There are all kinds of opinions out there about how to properly prepare for training, but none as smart, concise and actionable as what Coach Joe shares on Episode 197 of the Doc and Jock Podcast.